Paula McDonald Rhodes is the President and co-founder of InVictus with responsibility for managing or monitoring all aspects of the development process from inception through completion, lease-up, and operations. Prior to forming Invictus Development, LLC in October of 2015, Ms. Rhodes was Norstar Development USA, LP’s Director of Project Development for Norstar’s projects in the States of Florida and Alabama from 2006 – 2015 with responsibility for managing all aspects of the development process from beginning to end, including identification of projects, site development, construction, financing, operation, and compliance and is in charge of development of multifamily, affordable, and workforce housing throughout the State. Ms. Rhodes brings over 20 years of legal experience in the area of real estate and business financing, having worked for more than 15 years for the law firm of Carlton Fields in Tampa, Florida where she was an equity shareholder. After leaving Carlton Fields in 2001 and prior to joining Norstar in 2006, Ms. Rhodes served as embedded counsel for Raymond James Tax Credit Funds, Inc. in St. Petersburg, Florida where she was responsible for all aspects of the syndication of low-income housing tax credits at both the investor and developer level. 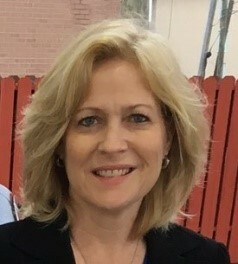 Ms. Rhodes received her Bachelor’s degree from the Institute of Policy Sciences and Public Affairs, Duke University, and her law degree from Duke University School of Law. Immediately following graduation from law school, Ms. Rhodes served as a judicial law clerk on the United States Court of Appeals for the D.C. Circuit. Richard E. Cavalieri is the Executive Vice President and co-founder of InVictus in charge of preliminary site selection, development and design, project management, and all construction activities of the InVictus multifamily projects. 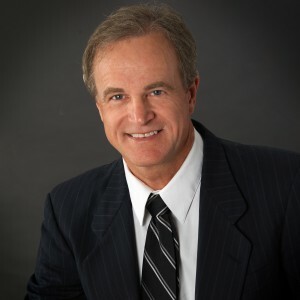 From 2004 – 2006, Mr. Cavalieri was responsible for site selection and due diligence on commercial retail and multifamily housing projects for Primerica Group One, Inc., a Tampa development company specializing in Publix-anchored shopping centers. In 2006, Primerica became joint venture partners with Norstar Development USA, LP on the development of affordable housing projects in Florida. Mr. Cavalieri was then assigned exclusively to Norstar projects and served as Norstar’s owner’s representative on all of its Florida affordable housing construction sites. As Norstar’s Development Manager, Mr. Cavalieri was responsible for coordinating the efforts of architects, planners, engineers, and other professionals involved in the design process. During and prior to construction, Mr. Cavalieri oversaw the general contractor as well as all zoning, site planning, permitting, and approval processes. Before coming to Norstar, Mr. Cavalieri was President of Heritage Construction & Development in 1981 and then in 1988, became a founding partner in Impact Business Technologies. Later that year he formed Computer One, Inc. as a computer consulting and support company. As part of his responsibilities at Primerica and Norstar Florida, Mr. Cavalieri was responsible for all information systems. Mr. Cavalieri received his Bachelor’s degree in Economics from the University of Michigan. Mr. Cavalieri is currently qualified as a Florida Building Contractor.